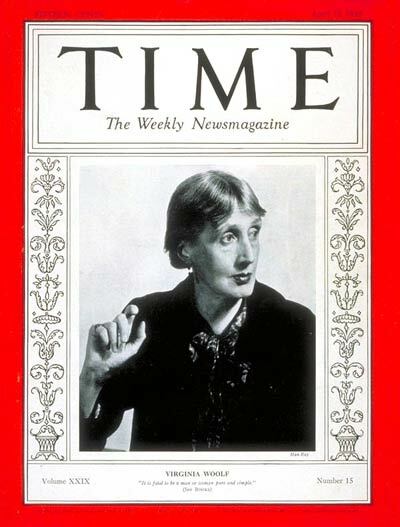 The Society of Authors, founded in 1884, two years after Virginia Woolf’s birth, acts as the literary representative of the estate of Virginia Woolf. You can apply online for permission to quote her work or include it in an anthology by clicking here. The society, which is located in London, represents other Bloomsbury writers, including Leonard Woolf, Clive Bell and Quentin Bell. The archives of the Virginia Woolf Society and the International Virginia Woolf Society have found a permanent home at the E.J. Pratt Library, Victoria University, University of Toronto, according to the latest issue of the Virginia Woolf Miscellany. The society’s historian, Celia Marshik, is collecting archival material, such as correspondence, memorabilia and photographs, which she will transfer to the archives. Anyone who would like to donate such materials should contact Marshik at Celia.Marshik@stonybrook.edu. Virginia Woolf, common readers, and Julia Briggs. That is the combination created by the Julia Briggs Memorial Prize 2009, which will be awarded to the top essay on the topic of “Virginia Woolf and the Common Reader” in a competition sponsored by the Virginia Woolf Society of Great Britain. Read more. Thirty-four essays by Virginia Woolf will be reprinted for the first time when Stuart N. Clarke publishes Volume VI of Woolf’s essays, he reports via the VW Listserv. Read more. Volume 14 of the Woolf Studies Annual is now available. The refereed journal, edited by Mark Hussey, publishes new scholarship on the work of Woolf and those of her milieu. For an order form and more information, send your mailing address to paceup@pace.edu. Donations made in memory of Woolf scholar Julia Briggs to Green Women are responsible for “C’s the Day,” a day dedicated to being healthy, staying healthy and reducing the risk of cancer scheduled for Saturday 9 February 2008. The event will be held at the Friends’ Meeting House at Ship Street in Brighton, England, and a program of events and talks will run from 10 a.m. to 4 p.m. Entry is free. Events and activities will include talks, stalls and workshops about well-being, including easy ways to meditate and stay healthy. There will be a panel question-and-answer session with the experts, and information about diet and lifestyle. Practical demonstrations and advice on complementary therapies will also be on offer, along with music and food. Among those participating will be two special guests. Professor Jane Plant, of Imperial College and best-selling author of Your Life in Your Hands, a cancer survivor who beat the disease with a diet and lifestyle change that she will discuss. Caroline Lucas MEP has worked tirelessly to ban GM crops, improve air quality and the environment. She has also been involved in a European-wide initiative evaluating the toxicity of chemical products used in everyday life. For more information about the Green Women and “Cs the Day,” e-mail Anthea Ballam at anthea@antheab.com. De Montfort University will hold the first annual Julia Briggs Memorial Lecture Tuesday 26 February 2008 at 6 p.m. in St Mary de Castro Church, Castle View, Leicester, followed by a drinks reception at Trinity House, The Newarke, De Montfort University, Leicester. The lecture, “Shakespeare and the Myth of Venus,” will be given by Professor Catherine Belsey, Research Professor, University of Wales, Swansea. To confirm attendance, contact Helen Wilson, events manager, by phone at 0116 250 6288 or by e-mail at hwilson01@dmu.ac.uk no later than 25 January 2008. Desire and property. They seem to go together. But each will be the topic of a separate panel on Virginia Woolf at the 2008 Modern Language Association Convention in San Francisco this year. Get the details.